Struggling to find a Gabrielle Paddington in Perfect condition? Look no further… COMING SOON to The Paddington Collective. These reconditioned Gabrielle Bears are in exceptional condition, they are sporting hand crafted replacement hat, coat, boots and sport a beautiful soft leather ‘please look after this bear’ swing tag. No moth holes, no fusty smells and a tag that can’t be ripped by the tiny hands of an excited Bear fan. genuine leather luggage tags and replacement swing tags. The Paddington Collective deals in new, preloved and collectable children's toys, games, clothing and merchandise from the world of Paddington Bear. You'll find a large range of Paddington Bears from the original Gabrielle through to Eden and Rainbow Designs that you won't be able to resist, whether it be a preloved gift for your family or something to simply treasure. Visit the shop now to see what treasures we currently have in stock. 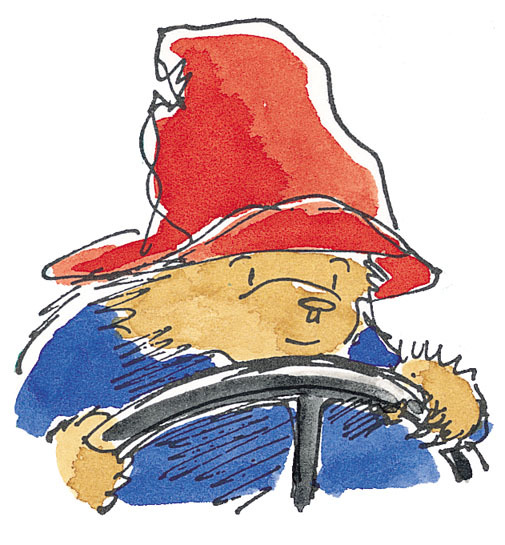 Calling all Collectors - Do you have a huge collection of Paddington Merchandise. Send us a photo of your collection or display along with your stories of how it all came about we love hearing about them. The best ones will feature here on the home page. A trio of bare Gabrielle designs Bears post sponge down prior to dry shampoo and brush, taking care to preserve their 'fluffyness' - these boys look like they are enjoying a sauna boots 'n' all.